I’ve been working lately on finding more ways to collaborate with my teachers on lessons. While starting up a conversation with our marine science teacher, I learned that she was working on a unit about coral reefs with her students. 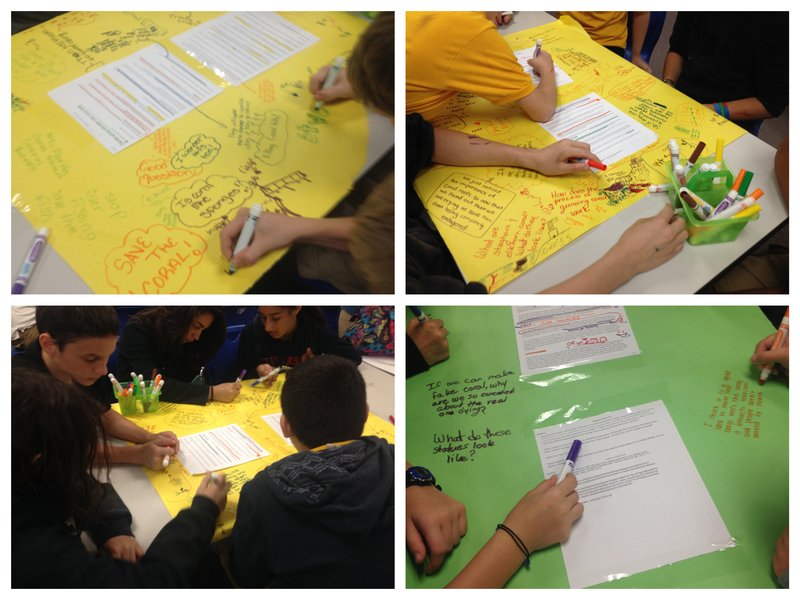 Working together, we came up with a plan to focus on coral reef restoration. Inspired by the amazing Buffy Hamilton, I decided to use Written Conversation Strategies with them. Buffy has written about this extensively on her blog, and she’s an amazing resource, and I borrowed a lot from how she introduced this strategy to her students. Using Haiku Deck, I created a brief presentation to introduce the students to the concept of what we would be doing and what was expected of them. It took a few minutes and a little prompting to get them started, but they quickly started discussing and annotating the text with one another. 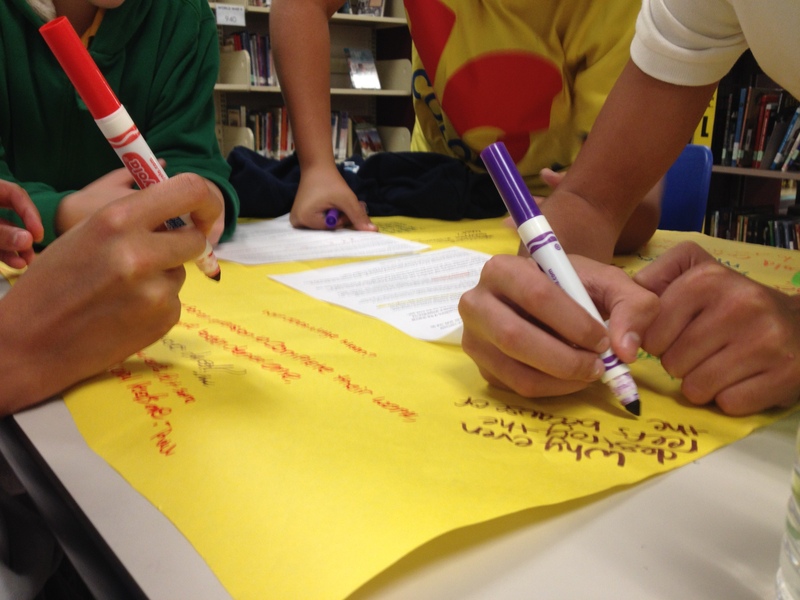 It became clear that this would not be a silent activity, as the students were actively moving around and discussing their articles with one another. They were adding questions, comments, reactions and doodles to respond to what they were reading. I gave them about five minutes per article and then directed them to rotate to the next table. While there certainly were a few off-topic doodles and discussions (somehow Spongebob came up in every class) for the most part the students were on-topic and on-task. If I found that they were starting to lose focus, I would rotate them early, but for the most part, they loved this active learning activity. Students were standing, sitting on tables, walking around, and making use of the Hokki stools. I have a very kinesthetic group of students at my school, and this activity was perfect for them. They were much more engaged than if they had each had to read the articles silently. After the students had annotated all four articles, they got back into their original groups to discuss and summarize what they learned. We then talked as a class for a few minutes summarizing our articles and what we learned. I had them use our whiteboard tables to write down their summaries. Now that we had spent all this time reading and learning about coral reef restoration, we applied what we learned with a hands-on MakerEd activity. I showed the students some creative commons images of artificial coral reefs. 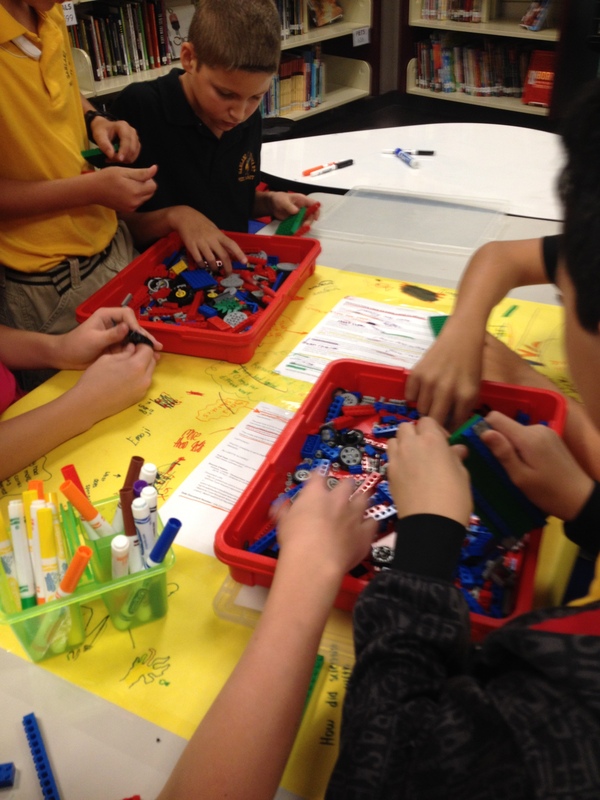 I then challenged them to create their own model of an artificial coral reef using LEGOs and K’nex. It was a really fun activity. As I walked around, I asked students to explain their rational for their creations, and most of them had good answers. Examples including creating little caves for fish and other creatures, making natural looking shapes to help undersea life feel at home, etc. Overall, I was really pleased with how this all came together. The students had a lot of fun, were engaged in what they were learning about, and came away with a curiosity to learn more about coral reefs. I will definitely be using ideas like this in future lessons. 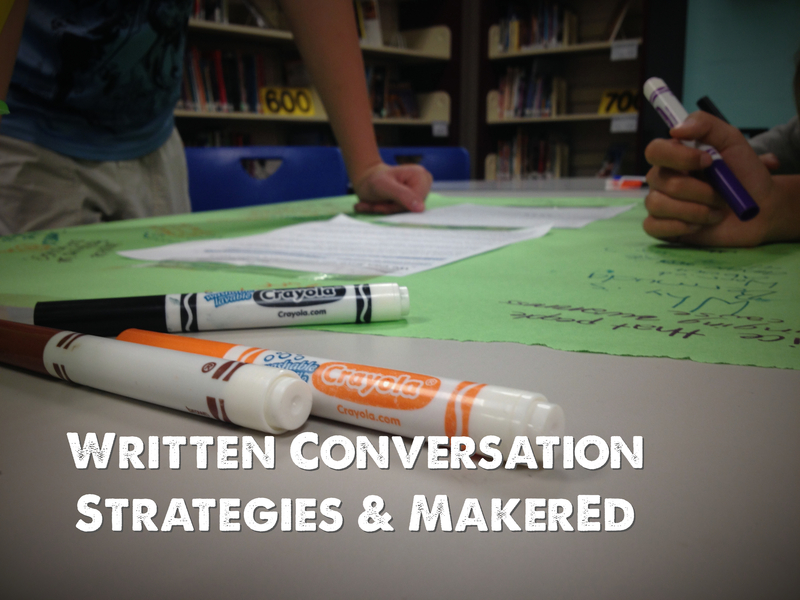 Have you ever used written conversations strategies or MakerEd activities in your lessons? What was your experience?